Happy Friday! It’s been another delectable week at Liqurious. 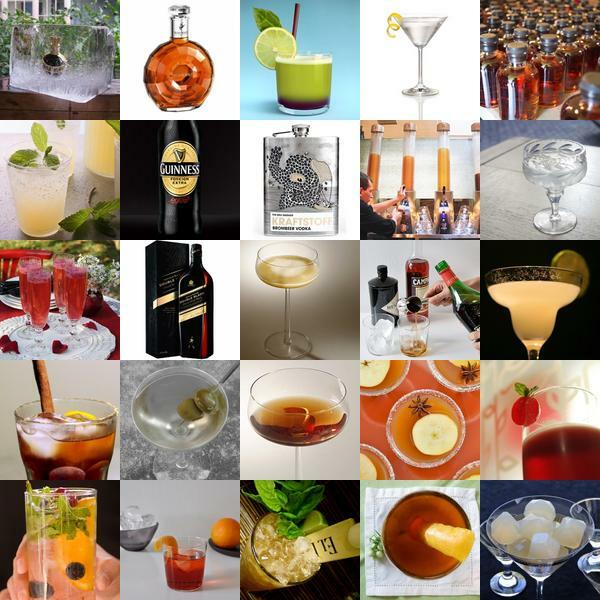 To find out more about each drink, click on its individual image. 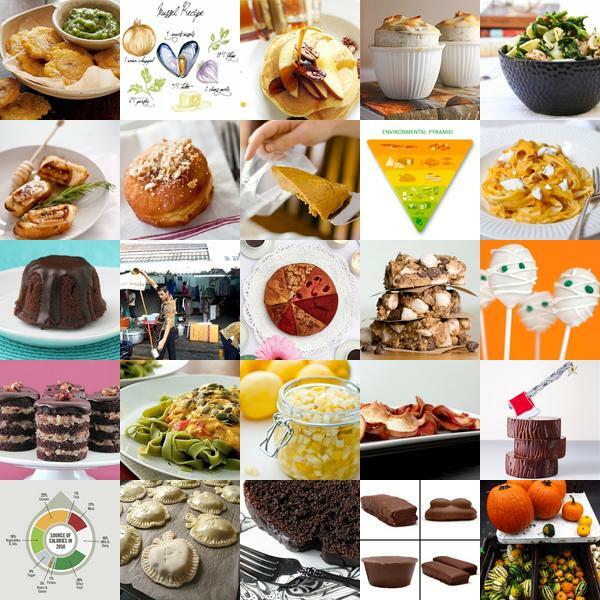 It’s been amazing how much designer deliciousness we run into each week over at Tasteologie ~ from illustrated recipes, to amazing mini cake stacks, home made candy favorites, pumpkin goodies galore (from pasta sauces to squeezing pumpkin pie through a bag as frosting…) and so much more! Explore and find out more by clicking the pics! Remember when I first wrote about Dan Akroyd’s Crystal Head Vodka almost exactly 2 years ago and people actually thought we were part of the joke propagating across the internet? But it was REAL? And awesomely pretty? 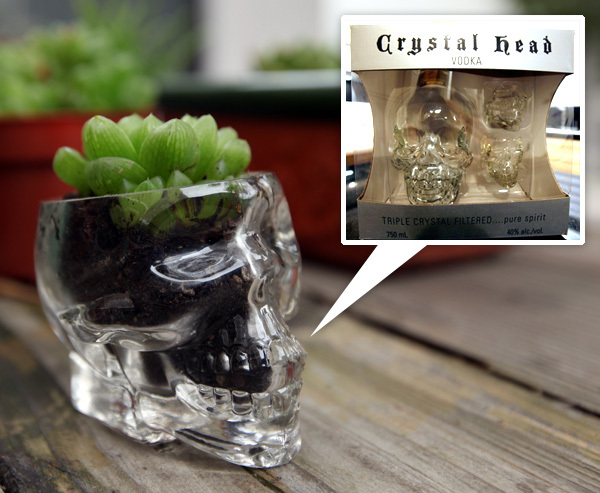 Well wandering the supermarket last night i ran into the Crystal Head Vodka Gift Set ~ gorgeous skull bottle paired with two rather large mini skull shot glasses (missing skull caps!) and i couldn’t resist. While they seem EVEN bigger, after testing it out, each skull shot holds about 2.5oz… and that their need for a skull cap… i just couldn’t resist planting some succulents in there! So cute! Succulents in the skull = Skulculents? or Succuskulls? See more pics on the next page! They are way too fun! Perhaps the most amazing room service experience yet… OWC stands for One While Changing. You know, that drink that you have while getting all primped and ready… maybe if you’re lucky, the bartender will even help zip you up after shaking up that martini? Since i couldn’t make it this weekend, I sent Anna from Sub-Studio down to the opening of Soho Beach House Miami ~ much like the rest in the collection, this part hotel, part membership club, part restaurant is the latest in the stunning Soho House group worldwide. But before i tell you more about that, back to the OWC! 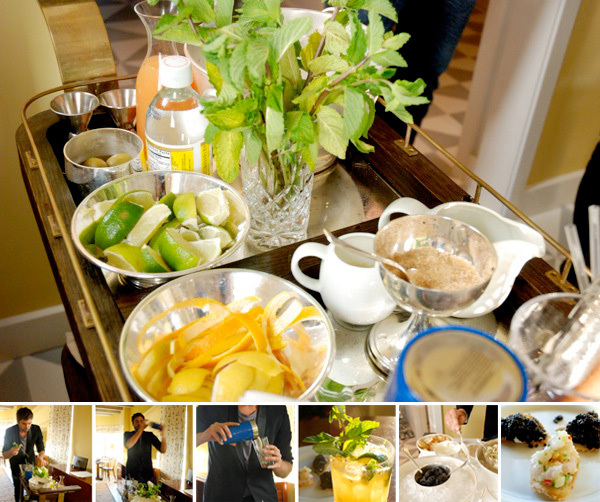 You call down to room service, and up pops a lovely bartender and rolling bar! (In the case of this launch weekend, she also got a bonus gentleman rolling up with some savories…) Even though Anna is quite pregnant, she knew what Liqurious needed, and still ordered them up ~ and they were kind enough to indulge her in “anything non-alcoholic and pretty”, resulting in a citrusy, minty delight ~ perhaps a virgin mojito of sorts? Along with caviar with creme fraiche and tuna tartare on toast! Divine, isn’t it? Even if not going out, it sounds like a lovely service ~ such a nice way to bring the experience of cocktail right into the room. Take a peek on the next page of the process, the lovely carts, and the bartender in action! 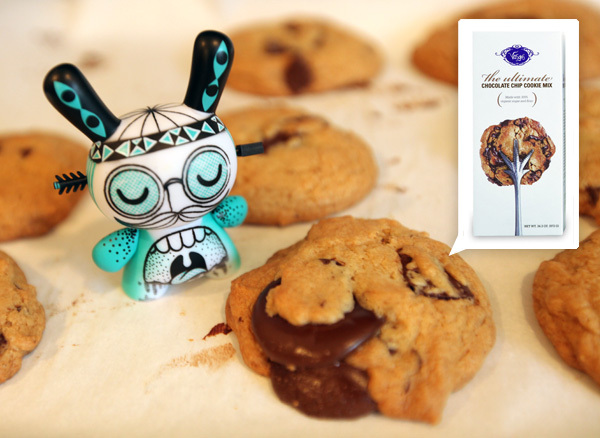 Mmmmmm if Tasteologie had a sound effect ~ that would be it. 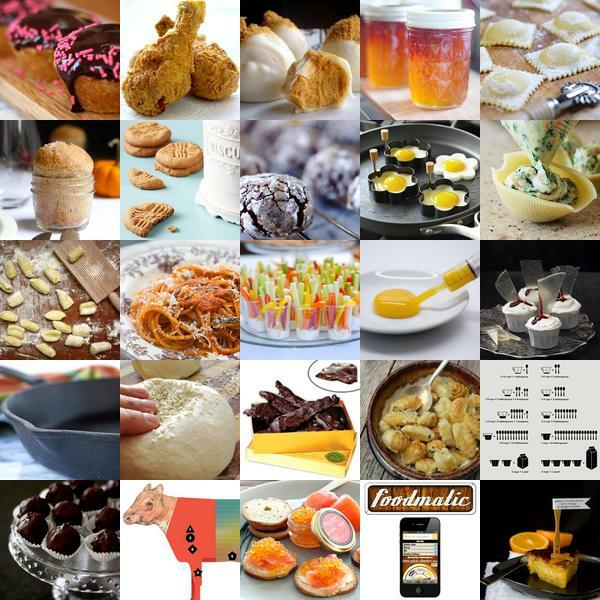 So much more than just food, it’s been so fun seeing all the creativity and design popping up in the food space. Not to mention stunning photography, tools i never even dreamed of, and mac and cheese gnocchi. And you wouldn’t believe how many ways you can use mason jars…. like for making jarpies… or BREAD! Explore them all by clicking the pics to find out more! 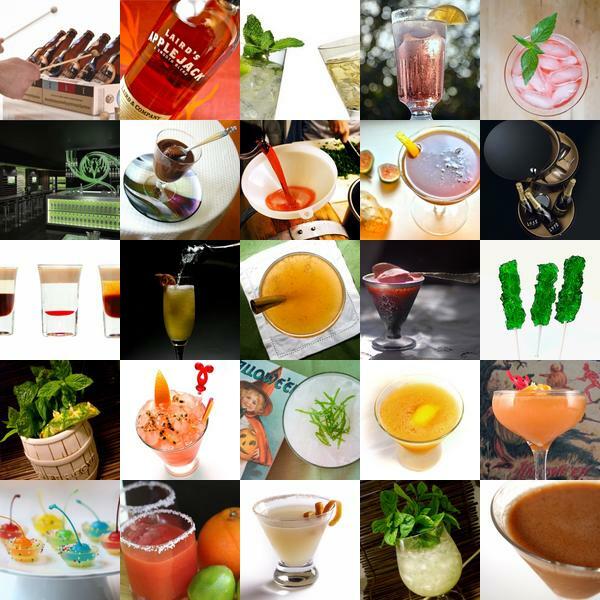 After a long week, there’s nothing like a luscious roundup from Liqurious to get you ready for the weekend. To find out more about each post, click its individual image. 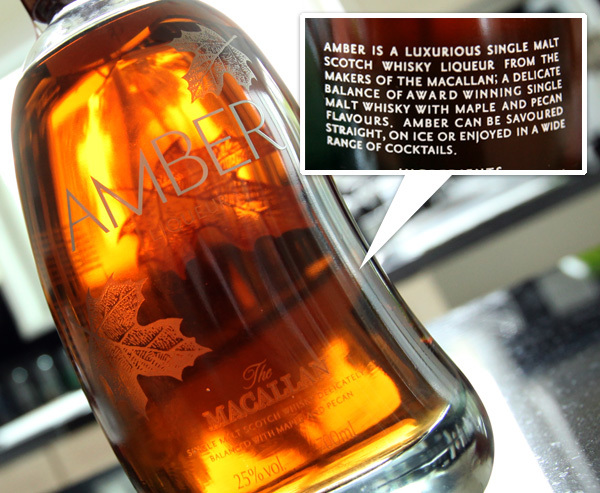 Anyhow, take a peek at this on the next page ~ fun packaging, and totally tapped into my love of dark grade B vermont maple syrup as well as my love of the Macallan! p.s. not to scotch you guys out ~ but really, so much fun and inspiration discovered while running around scotland! It makes perfect sense to pair a fragrance specialist with a drinks brand, when scent is such a critical component of any drink experience! It’s been a Liqurious few weeks between being with Veuve Clicquot in the champagne region, and then with The Macallan in the scottish highlands the last few weeks, and one thing that’s been pressed into me is the importance of the Nose… sniffing the various notes, tasting and appreciating the various scents, and layers of scents… granted, i’ve played with the 50 Vial Aroma Set Maestro Dobel had sent over… but it isn’t until this experience with Roja Dove that i fully understood how all of these notes fit together. The Macallan has teamed up with Roja Dove (changed from Rodger) ~ who is a frangrance specialist, who went from doing medical research at Cambridge, to nearly 20 years working in the House of Guerlain, to opening his own extremely curated haven of a parfumerie in Harrods, where customers can even have bespoke scents made from scratch (not just tweaked from existing ones)… What’s unique here, is that together, The Macallan and the non-whisky loving Roja Dove (he had some bad experiences with as a kid with whisky) have found a way to separate the experience of the scents found in The Macallan from the actual taste/alcohol. 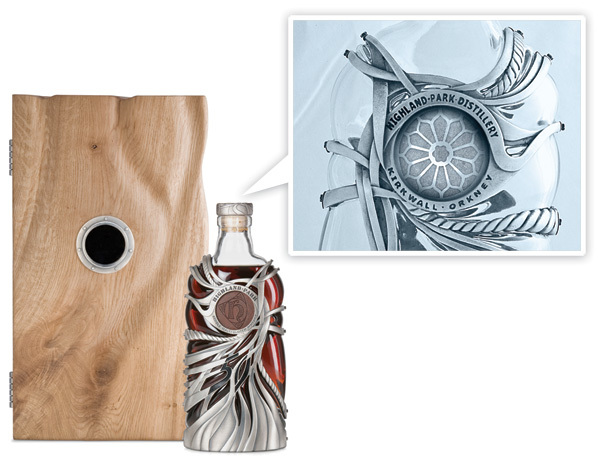 And this special kit Roja Dove has created contains 12 scents to allow brand ambassadors to share the experience of learning and understanding the layers of scents that come together to form both the Sherry Oak and Fine Oak Whisky. 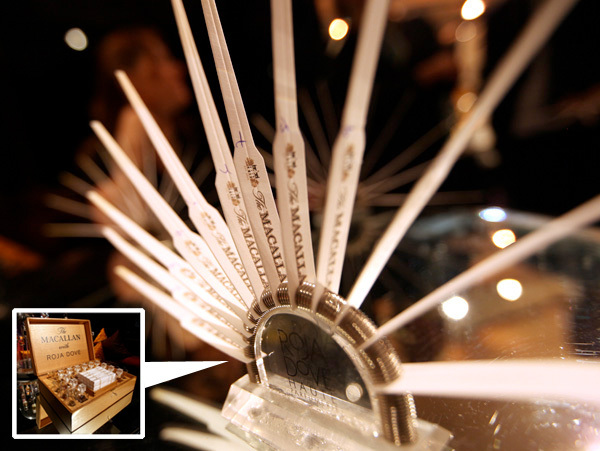 Take a peek at more pictures of the experience, the kit, and explanations of the various scents i experienced. It was rather…. nose opening, to say the least. Yum! 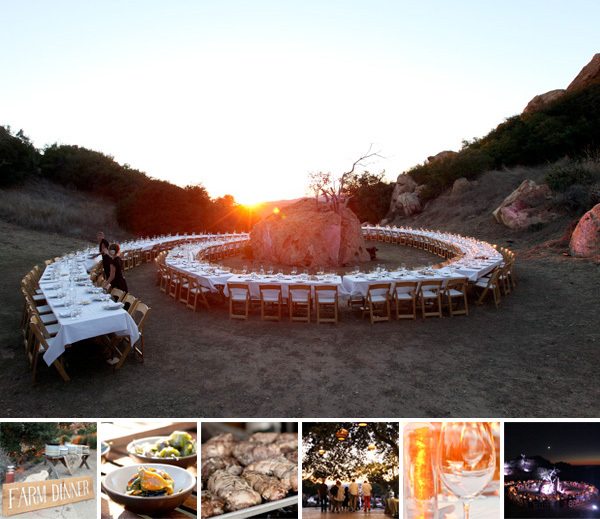 Here’s a roundup of some of the delicious inspiration we’ve found over at Tasteologie this week! 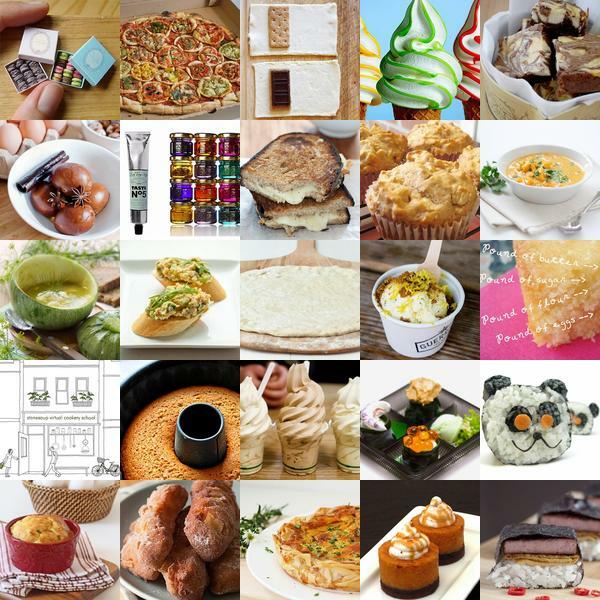 Yes, that is some panda sushi… and yes that says “pound of butter”… also, lots of delectable sweets! Click the images to explore and find out more! This morning, we attempted to create our ideal whisky from (amongst others) the samples we collected from 12 year old casks of The Macallan. Bob Dalgarno, The Macallan Whisky Maker, taught us so much about the art of whisky making, and the complicated challenge of smelling, tasting, and seeing how to make the perfect bottles of The Macallan, to that perfect smell/taste/color we’ve come to know and love. 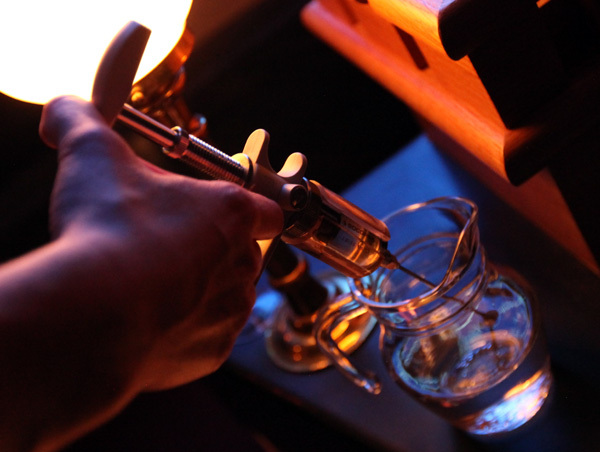 As he explained the difficulty of making something so consistent from so many varying casks of whisky, and even deciding which casks are decided to be set aside to age longer and such ~ the most creative aspect to emerge was his challenge to us to smell the differences between an array of samples to attune our palates… only to ask us to create in our minds… our ideal whisky. What does it smell like? What does it taste like? What does it make you think of? 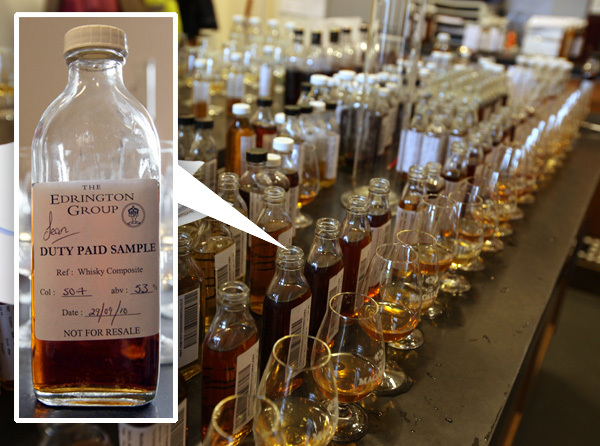 Anyhow, it is unbelievably hard trying to decipher the aromas, figuring out which samples to mix, finding the right notes to layer for that drinkable delicious whisky with a nice long finish… but we tried. And bonus points to Evan from Cool Hunting who was definitely the whisky maker with the most potential in our group! His smelled divine! And delicious too! Don’t get me wrong, NOTCOT edition is yummy as well ~ my bottle of that is coming home with me! It was incredibly fun and fascinating to play with the awesome syringes to mix samples in our bottles, measure the percentage of alcohol, taste test, and more ~ while i’m no master whisky maker in the making, i definitely have a new appreciation for exactly how much work is going into even just mixing the right casks to make the bottles that show up on the shelf! But, that’s enough rambling for now ~ you really must see how incredible The Macallan lab/Bob’s office is! 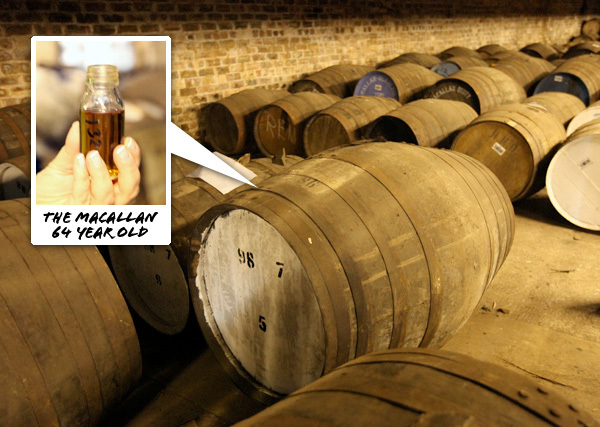 And the process we went through making our own Macallan whisky ~ all on the next page! SO! As you probably know by now, The Macallan has me out in scotland, exploring and learning and playing with all things scotch. In fact, they’ve kept me so excitedly busy, it’s been hard to find enough time to process and post! Or even figure out where to start… so here’s how its going to go, i’ll share the most unique bits as i can! And one of the most exciting places to start is ~ SAMPLING! With so many thousands of casks in so many warehouses with all these slight variations in wood, in atmosphere, in unexplained magical natural occurrences that may make even casks from the same batch differ in flavor, colors, and more, the only way to find and create the perfect single malt is through sampling, tasting, and keeping an eye on each cask as the whisky within matures over time (so anywhere from 5 years to decades? )… on amazingly awesome experiences, we got to go along with the Macallan boys (Thanks, Jim and Gary, and apologies for the times i accidentally squirted whisky on you!) and actually get our hands dirty and help do the sampling! From drilling holes, pumping out samples, filling vials, (maybe sneaking a taste here and there) and plugging the hole! See the process we experienced in the warehouse on the next page! p.s. The picture above? Can you believe that is the Macallan 1964 that is filling the Lalique Cire Perdue - This 1946 cask became 64 years old in January 2010! p.p.s. i can’t even begin to tell you how incredible these warehouses smell.